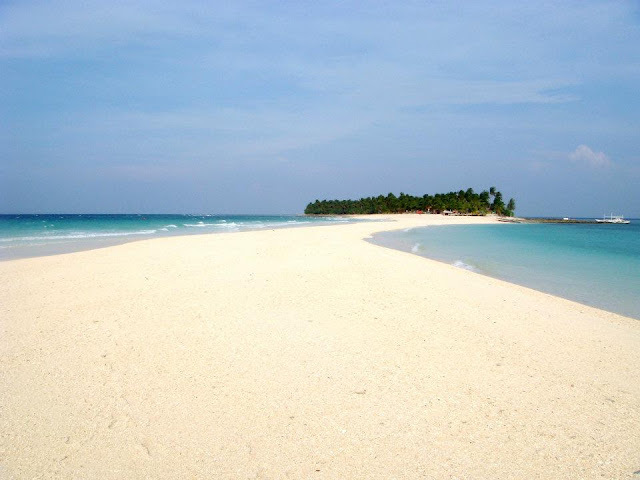 What Are You Willing to Do to Go to Kalanggaman Island in Leyte, Philippines? STORY: I've heard about this island too many times. 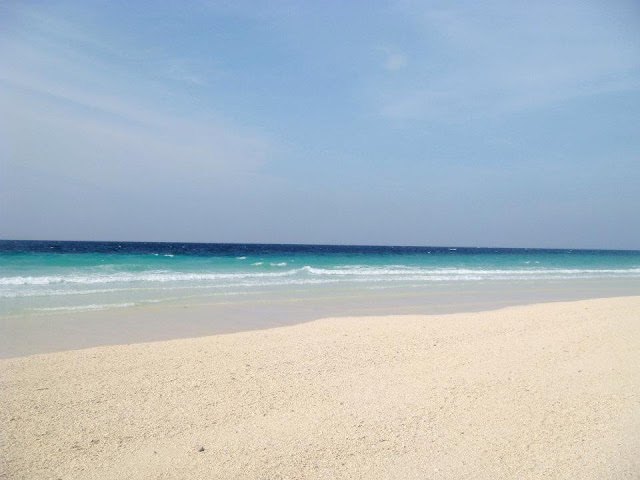 People say it's the best beach in the Philippines, and possibly the world. I've never been to Leyte province, so this island became a no-brainer for me to finally visit this time. For someone who finds a white sandy beach with no soul in sight as a Disneyland, i couldn't let pass the opportunity to travel to the land built on stories. Going there took a lot of time, energy and effort. For some people who're used to the airport beside the jetty port en route to paradise in a total of 10 minutes max, then this is level 5. I smoke a few sticks a day. Okay, a lot. Okay, more when i travel. So, giving up a few sticks in a day because of the numerous rides: bus, van, and boat was something i had to do. Yey! Is the bus leaving yet? I'm used to counting minutes and seconds in Manila as i rush from my house going to my office in Makati. En route to Kalanggaman Island, i had to wait for 3 hours for the van to be filled up before we can head straight to the port in Palompon. It was a long, tiring and sticky day. I almost lost it and was thinking of going with plan B to scrap out the itinerary going to Kalanggaman. What's plan b? I have no idea. It's far away from civilization. 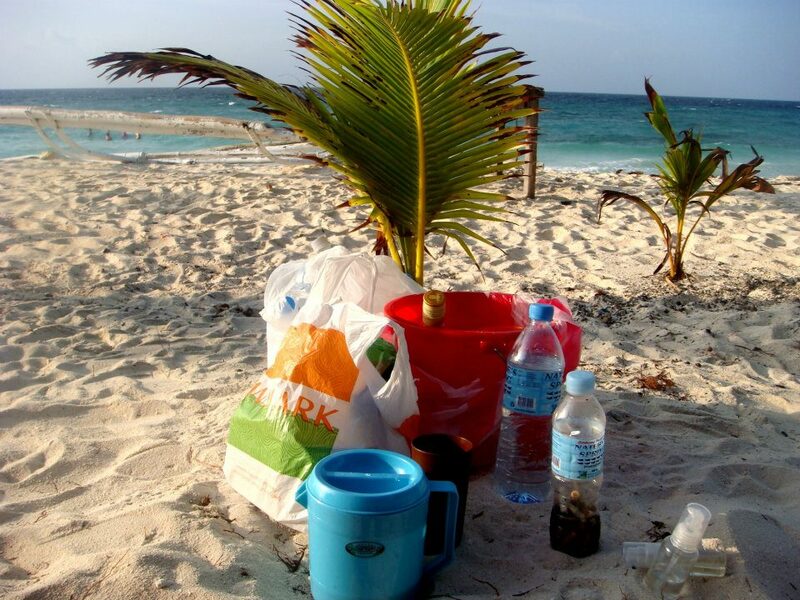 With all the basic necessities found only in the municipality, venturing to the island would mean leaving all the best stuff at home and going out on the sea. You have to buy all the stuff you will need in a day. Away! Rippin' the sea on a boat. Riding a boat in the open sea is not that hard. It's not even a hassle. Heck, people find it an awesome experience. But riding on a boat with a bolero type life vests is a different case. Tried it on and swore never to wear it again. Trusting your life with someone you can't communicate with. How do you deal with that? Manong speaks very little to none Tagalog so most of our conversations were about hand calisthenics and elbow rubbing. Ecstatic! 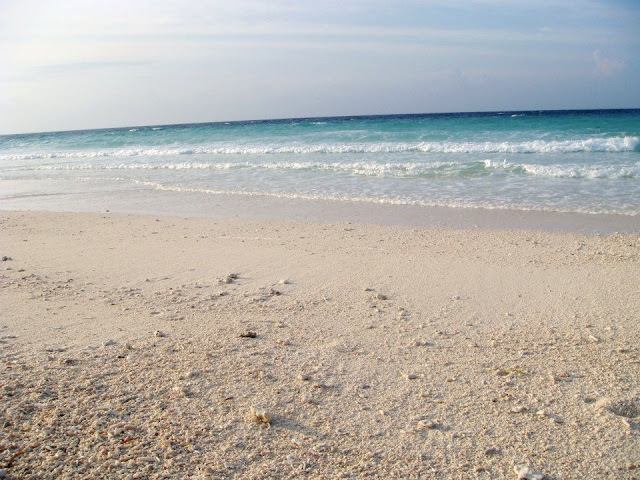 Perk 1: The joy of drinking ice cold beer (Grande) Pale Pilsen while ripping the great and blessed Visayan sea. I managed to finish two big ones on the boat while waiting to set foot in Kalanggaman. How do you pitch a tent without instructions? It's like driving the highway with a windshield in super dark tint. Possible but very, very difficult. I tried camping once and i loved it. But i didn't pitch the tent then. All was prepared for even before i came. So, this is something different. The Story of the Can Opener. When you get hungry and all you have food to eat are canned goods, chances are you need to open it and swallow away. Thing is, how do you even open it with a broken opener? Mind you, i only found about this when i got there. And when i used it, it became even more broken. Having a beach with a Danger Zone Ahead sign can be frustrating. How can you file a complain to Poseidon? You can't. All you can do is accept and swim where it's safe. With no trash bin in sight, you sleep with your rubbish. Bring back home whatever you brought in the island. All of these i had to forego for just one reason. As soon as my feet stepped on this wonderland, i just couldn't help but smile. It's like i am walking on the clouds. Surreal! I wanted to make love with the beach so much. I have to be honest, i've been to many awesome places. 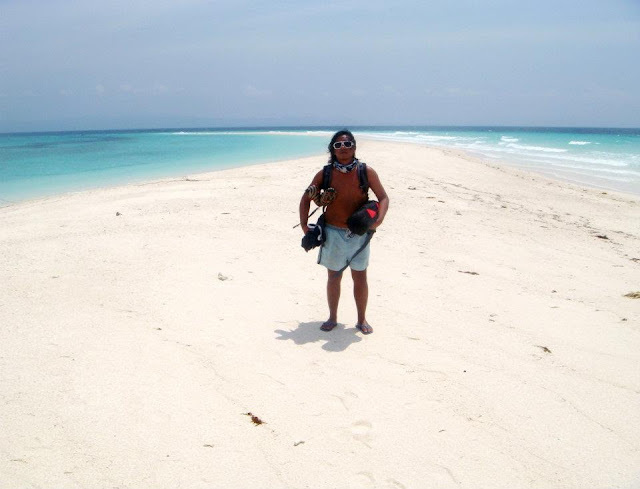 But i consider Kalanggaman Island as one of the best places i've ever seen. I'm in love! 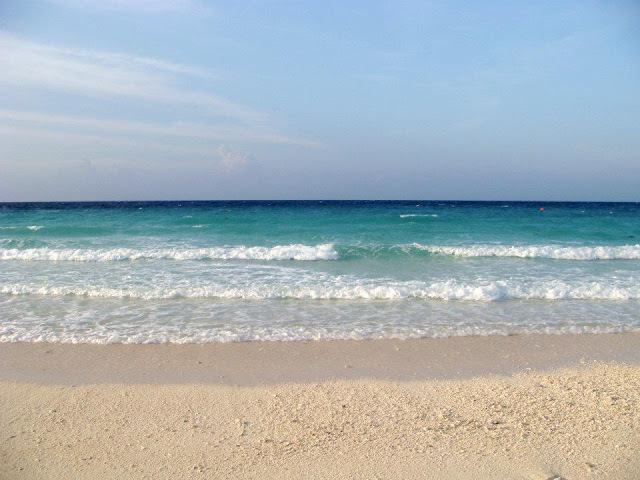 It's truly one of the best beaches of the Philippines! Imagine how sad it was for me when i had to leave the next day. It didn't take long for me to love the island. It's not that big, and a couple of hours walking would mean completely circumnavigating this paradise. And so, i left Kalanggaman Island not with a heavy heart but with a smile that's unexplained. There are many happy places on Earth and i consider this island as one of them. I thought all the things i had to forego and all the hardships and struggles i had met to get to this island was worth it. I would even do all the things i did on a more difficult stance and still would go. What can i say? 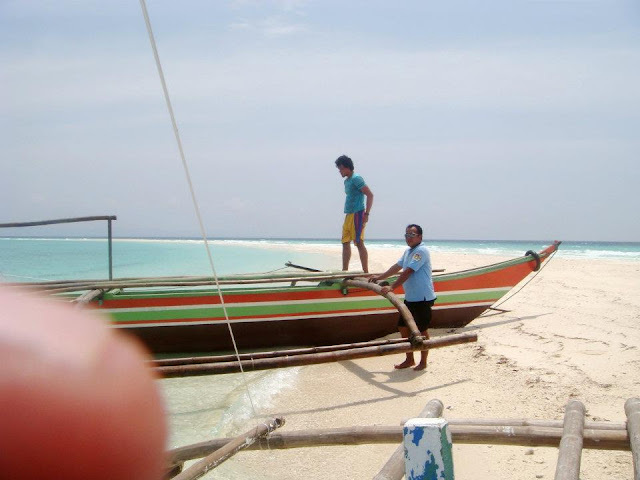 I love Kalanggaman Island! The sandbar and the island is so picture perfect! I'm lost for words too. You are in paradise! wow! super ganda! makes me wanna see the place! Hello. I would like to offer you my article to publish on your website - pinoyboyjournals.com. I'm excited to find this website. I need to to thank you for your time just for this fantastic read!! I definitely appreciated every part of it and i also have you bookmarked to check out new information on your website. One of the many unexplored wonders of the Philippines. Nice pictures! 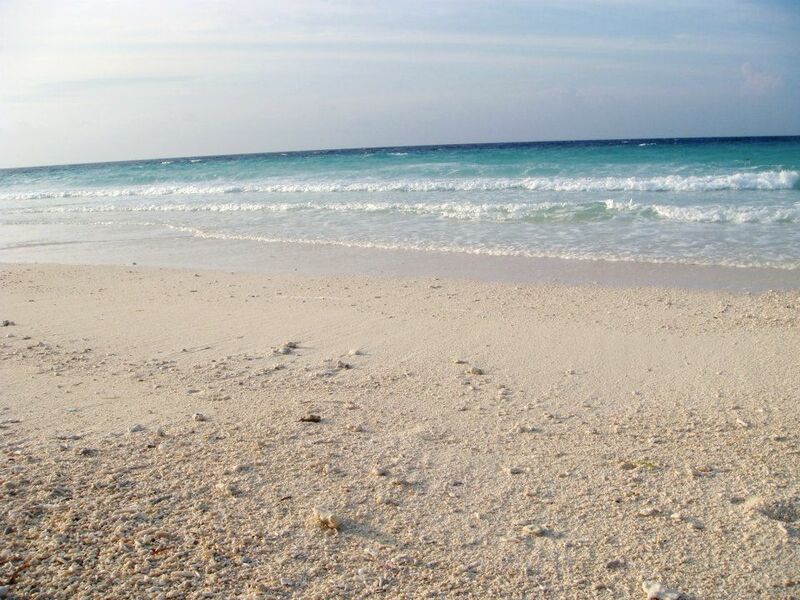 Hope to be able to visit this paradise island soon. 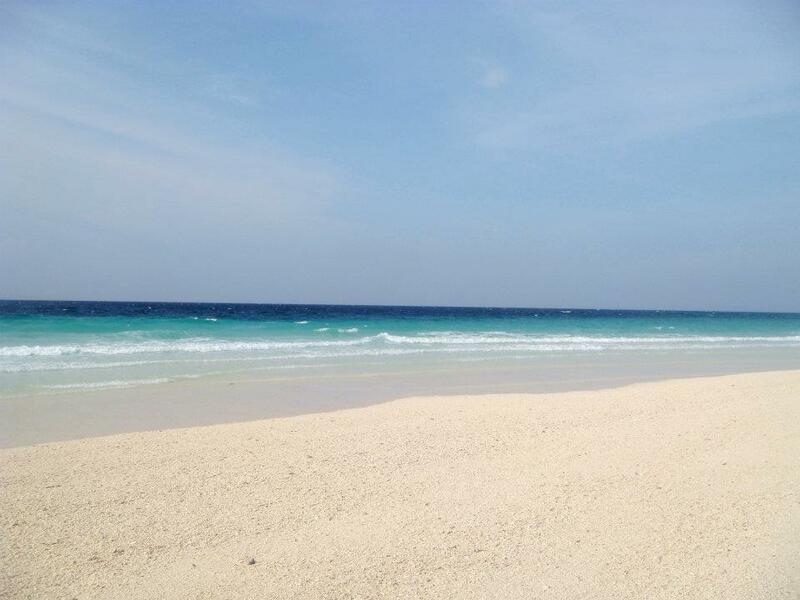 Anyway, what makes this beach really nice is the absence of noisy tourist. Gusto kong pumunta dito, kuyang! Supposedly nung January pero hindi kami natuloy sa Leyte. Balik tayo!!! I would like to publish a sponsored post (with one link) on your great blog - pinoyboyjournals.com. Could you please give me the price for the placement of it? 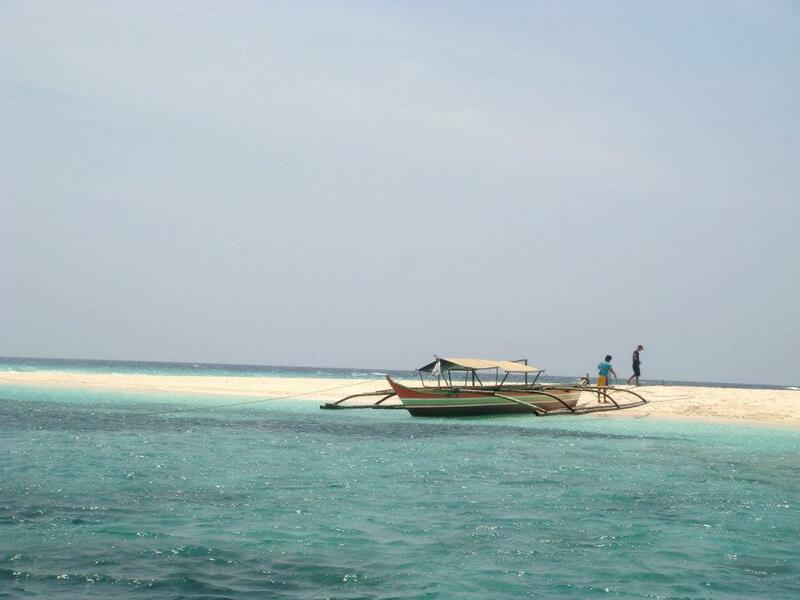 Kalanggaman Island is rich in marine environment, it serves as traditional fishing grounds of the local fisherfolks and communal areas for swimming and social gatherings of local residents. Lying midway to Cebu province, it has milky white sand, crystal clear blue waters, and palm trees. Very honest, no frills post. I recently traveled to Kalanggaman Island. I envy the sun you got but the sky was kind enough to give us a few hours and I sure took it! .. So beautiful. So white, so clean.. another paradise that we should take note. @Ian | Going Places One of the most breathtaking places i've ever been to in the Philippines. So unbelievable there! @Ryan Mach It's so small, you could walk around the island in an hour with so many stop-overs at that. The beach is unbelievable. Like you, i'm a sucker for white sandy beaches. I am quite particular with not a lot of people. In the island, i was only with the boatman. Amazing! @Rizalenio One for the books. It is really PARADISE there. @nik_rielo Wow, Nik! Go, and bring your special someone there. @Travel Installment Plan Philippines Cool! Thanks a lot. @yodi insigne No tourist in sight at all. Glad you've read this post. Come visit soon. @zodio A week here should be awesome! I agree. @Ely Go! Kelan ang susunod mo biyahe? @zoë Oh, wow! Thanks! Keep reading. @ JhaypeeG. Thanks for the info. Cheers! @Jinky Greene Oh, great. I'll check your blog soon. Hope you enjoyed Kalanggaman. Cheers! Keep reading. @leslie Thanks for reading. Come back soon. Cheers!